At Zenerjii, our brand goal revolves around 'Empowering Balanced Lifestyles' for our customers through providing fresh, healthy and nutritious snacking options on-the-go. Our culture is founded on a genuine commitment to customer health and well-being through transparency, honesty, respect and inclusiveness. We provide in the present and strive towards a future where everyone can enjoy the nourishment they need and deserve, all in one place, all in one cup. With over 14 years’ experience in the world of commercial juice and smoothie bars, Zenerjii remains a category leader and has been continually setting the standard high in taste, quality and customer satisfaction. In 2013 alone we sold an average of 100,000 juices and smoothies across each of our UK units, and our goal is to repeat and continue this success within the Irish market. As a potential franchise owner, this could mean estimates of approximately €350,000 per annum in revenue. 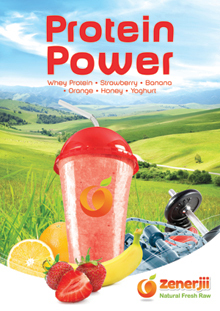 At Zenerjii, we’ve got the edge on market competitors by being the ONE and ONLY commercial smoothie bar in the UK and Ireland to use nothing but freshly squeezed, on demand juice in every single beverage we sell. This has been a position we have held since our inception, and we don’t plan on changing that any time soon. Our market research has time and again revealed that customers not only prefer the taste of fresh fruits and vegetables, but recognise and seek out their health benefits too. With consumers everywhere finally paying attention to the basics of nutritional values, we anticipate Zenerjii will continue to experience increased growth in popularity and demand, as a brand that truly has the best interests of its customers at heart. We have incorporated a range of organic ingredients into our products and have invested the time and effort into developing a unique yoghurt blend that is virtually free from added sugars, oils and artificial flavours. One of the biggest strengths of the Zenerjii brand is that we continually evolve our marketing strategies and product development in response to our customers and franchise owners. The advantage is that we have established a juice and smoothie bar that has become universally appealing to consumers across a wide range of demographics. Not only does our menu offer a sweeping selection of exotic fruits and vegetables, most of which are currently exclusive to Zenerjii bars, but we provide genuine, suitable alternatives for customers with specific dietary and lifestyle requirements. Although we are constantly adapting to meet the ever changing needs and wants of our customers, we continue to operate around a core business model that has demonstrated success, adaptability and longevity in the many diverse markets we operate in. Zenerjii demonstrates an unwavering commitment to customer care and our entire operation is proof that success can be easily achieved without cutting corners, and certainly without any form of deception. Our marketing is effortless and our commercial appeal strong because we have nothing to hide from our customers. As a franchise owner, you will benefit from our centralised marketing function, which aims not only to build the brand itself, but to implement innovative campaigns designed to drive traffic to your own individual bar and retain existing loyal customers. At Zenerjii, we regard all of our current and future franchise owners as equal business partners. You can be guaranteed of receiving continued support in HR, marketing, design and finance, and our Operations Team will work in tandem to deliver comprehensive training, and ensure performance is maximised and sustained from the moment you open. Our central operation encourages an open dialogue, promotes ongoing mutual feedback and provides the opportunity to voice your opinions on key decision making processes. Zenerjii can offer you a real sense of inclusion in how your business operates and, in our experience, this type of relationship has proven to be a crucial determining factor in our franchise success. 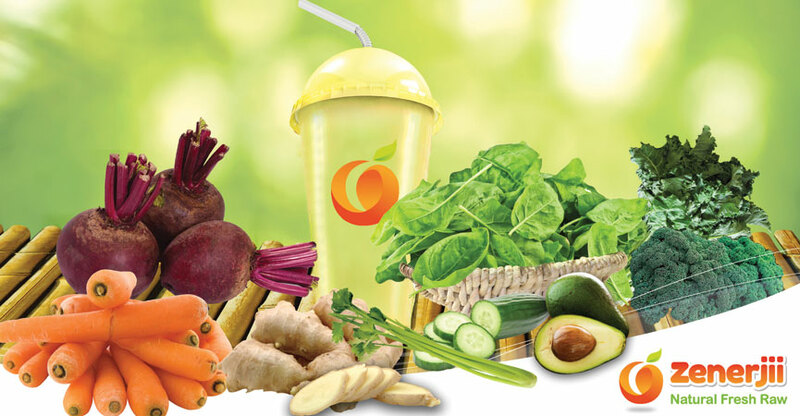 Just as we take great care and thought into choosing the best quality ingredients that make our juices and smoothies so distinctive, we also extend this principle in selecting our future franchise partners who can help nurture and grow the Zenerjii brand. Our initial Franchise Fee is €18,000 for operations in the Republic of Ireland, and £15,000 for the UK. This encompasses full product training, franchise manuals and the organisation of support staff on site during the opening process.